This isn’t your usual basketball origin story. Nor is it entirely a story about basketball at all. Austin Hill’s list of qualifications read more like the resume of a lab technician than that of a professional basketball player. Those two skillsets aren’t often mentioned in the same breath, and what’s even more impressive is that the 27-year-old Alabama native achieved all of this while continuing to pursue his basketball dream. “I have my Bachelors degree in Biology and my Masters in Biomedical Science, which I earned in England while playing out there,” Hill said. “After finishing my masters I was considering pursuing a terminal degree in the pharmaceutical sciences. Continuing that career meant trying his luck outside of his hometown of Montgomery, Alabama, a daunting prospect for any young person. But Hill’s journey wasn’t just in pursuit of a big contract playing ball, but also one of academic knowledge, to enable him to grow both personally and professionally. And that journey would take Hill to almost literally every corner of the globe. “I’ve played in leagues all around world. 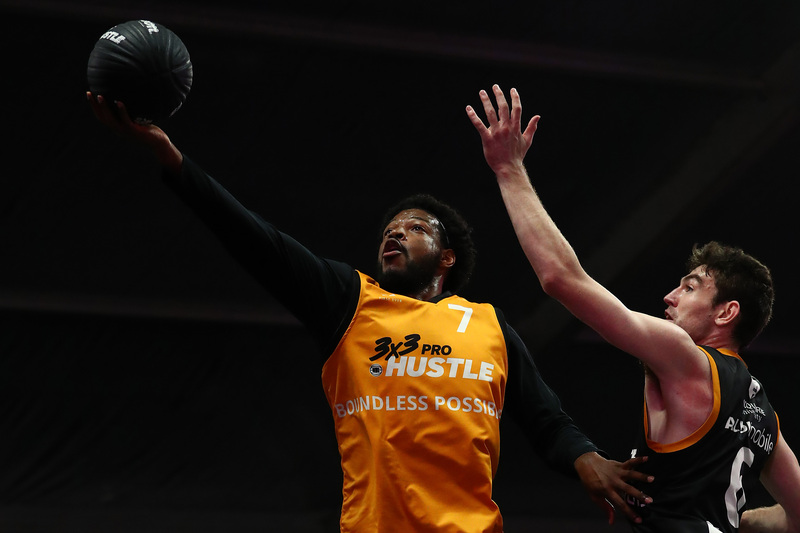 Mexico (LNBP), Germany (Regionaliga), England (EBL),” Hill said. “I played in a summer exposure league in Italy, and I played in one minor league in the USA (The Midwest Professional Basketball Association). “I also visited Denmark, Netherlands, France, Spain, Canada, and Indonesia outside of basketball. “The most exciting league I’ve played in, before Australia, is the Liga Nacional de Basketball (LNB) in Peru,” Hill said. So, Australia by way of the USA, Mexico, Germany, England, Denmark, Netherlands, France, Spain, Canada, and Indonesia. Not exactly the road often traveled. So how did this well traveled American end up in the Northern Territory in Australia playing 3x3Hustle? 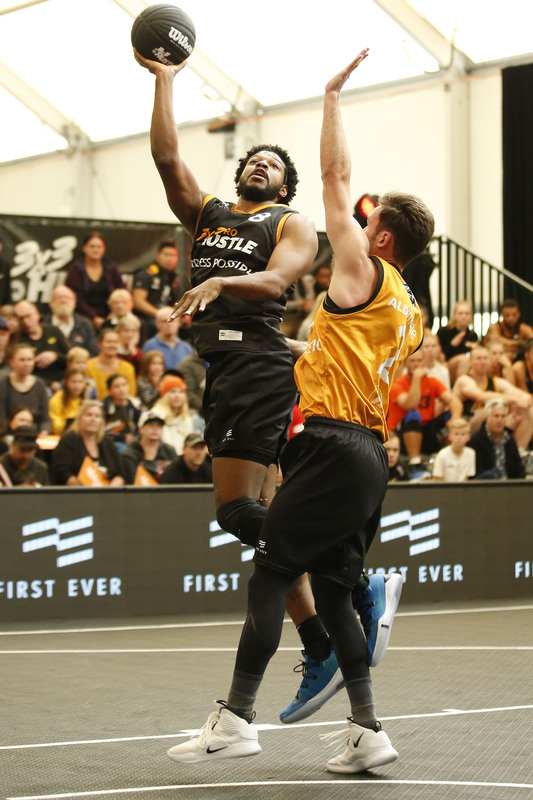 “I believe it was my second or third week in Darwin, Coach Rowse called me and informed me that the executives from Basketball NT wanted me to play on their 3×3 team for the NBL Pro Hustle event in Melbourne that coming weekend (in 2018),” Hill said. Hill had made a huge impression on the NT basketball scene in a very short period of time, displaying the kind of skills you can only get from a lifetime in the sport, and from experiencing different styles of play. Most recently, we’ve seen Hill put on a clinic in the 3×3 Pro Hustle Tour events in Melbourne and Geelong, with his combination of a smooth shooting stroke, solid handles and an innate ability to get to the rim helping Boundless Possible NT compete with some of the best 3×3 teams in the country. But this journey has been about more than basketball for Hill, with the relationships built along the way holding just as much importance to him. “To meet and interact with other players playing in different parts of the country I’d say was the best part,” Hill said. The more Hill travels, and the more connections he makes – through basketball and education – the smaller that world will become. It may, one day, fit in the palm of his hand.